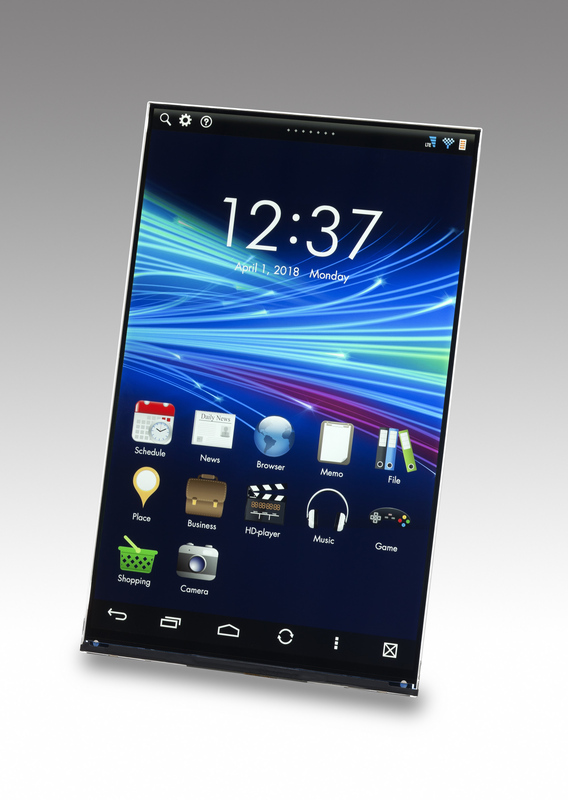 June 3, 2014 (Tokyo, Japan) - Japan Display Inc. (President and CEO: Shuichi Otsuka; JDI), a leading global supplier of small- and medium-sized displays, announces that it has developed "WhiteMagic" wide UXGA (1,200 x 1,920 pixels) liquid crystal display (LCD) module for 7.0-inch tablets and has begun shipping samples. 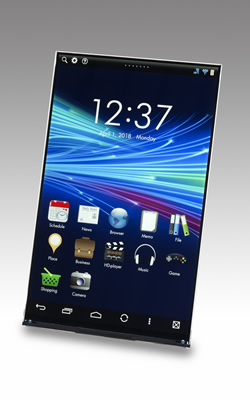 "WhiteMagic" modules for digital cameras and smartphones have been broadly adopted*1. In the future, it may additionally be used in tablet applications. "WhiteMagic" incorporates a system that generates image display data with JDI's original signal processing technologies by adding White (W) subpixels to the conventional red, green and blue (RGB) pixels and that effectively controls the backlight brightness to cut power consumption while maintaining image quality. Power consumption is up to 40% lower than that with existing products*2. When high display brightness is required, such as in outdoor sunlight environments, it is possible to increase backlight brightness by around two fold, with the help of the high permeability of the RGBW pixels. In this mode, power consumption is equivalent to that of conventional products. As their size meant the backlight had relatively high power consumption, LCD displays for tablets had a drawback of restricting battery operating time. JDI's "WhiteMagic" low power consumption LCD module has improved this and contributes to longer battery operation. Producing high display brightness that enhances visibility under strong outdoor sunlight conditions, it offers comfortable screen displays in different situations where tablets are used. This product will be demonstrated in JDI’s booth #1332 from June 3 to 5 during SID DISPLAY WEEK 2014 in San Diego, California, USA. *2 Based on JDI's investigation: In comparison with backlight power consumption and panel power consumption (without the local dimming backlight developed by JDI) at a surface brightness of 500 cd/m2. The percentage reduction in power consumption varies depending on the image displayed.